Bord Bia is hosting a training workshop in Galway next month specially designed for those who wish to sell at farmers’ markets. 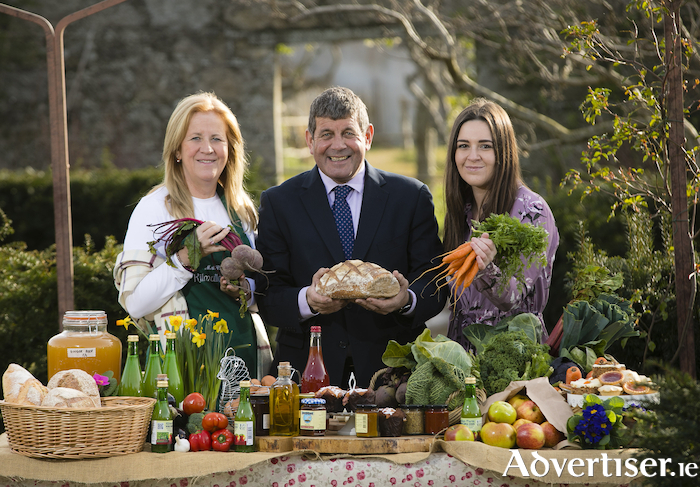 Developed by Bord Bia, ‘ Skills Training for Selling at Farmers’ Markets’ is open to Irish food, drink, seafood and horticulture producers and is aimed at both existing stall holders and first-time producers. The practical and interactive workshop will take place in the Salthill Hotel, Galway, on Wednesday, March 20, running from 9am until 3pm. A €25 charge per person applies and you must register at least three days in advance. Numbers are limited, so interested parties are encouraged to register now to avoid disappointment. For registration and further information see www.bordbia.ie/FarmersMarketsTraining First launched in 2016, the training will be delivered by experienced farmers’ market stallholder, Margaret Hoctor, of Kilmullen Farm in Wicklow. The six-hour long workshop will cover the skills most relevant to selling at farmers markets including stall management, selling and marketing tips, building customer loyalty, and budgeting. Speaking at the launch, the Minister of State for Food, Forestry and Horticulture, Mr. Andrew Doyle TD, said farmers’ markets play a vital role in the local economy, supporting food companies in the start-up phase and beyond while also fulfilling increasing consumer demand for locally produce food, drink and horticulture. “These Bord Bia training workshops are a great opportunity for producers to ensure they are market-ready and I’d encourage anyone who wants to sell at farmers’ market to attend.” he said. In total four workshops will be held around the country this March with further workshops in Kerry (19th March ), Kilkenny (26th March ) and Meath (27thMarch ). Gillian Willis, Small Business Manager with Bord Bia said these workshops have been specially developed by Bord Bia to enable farmers and producers to get the most out of selling at farmers’ markets. “We welcome the participation of both established producers wishing to upskill and new entrants to the channel looking to bring additional revenue to their farm or home,” she added.